The art and science of printing is a series of compromises to achieve the best possible reproduction of an image. Collage includes some built-in tools to improve the image data before output using Sharpness, Gamma Curves and more tools. 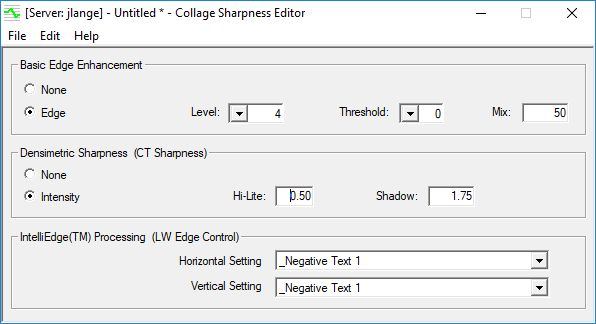 Collage includes several ways to sharpen an image using the Sharpness Editor, which includes Edge Enhancement, Densimetric Sharpness, and IntelliEdge. OHIO provides some edge curves, but you can define your own. Different curves can be applied to individual separations. Use the curve on only selected portions of an image; for example, negative text areas need different sharpness than positive text. You can define a curve with basic edge enhancement only, specifying how much or how little edges should be enhanced. By making darks darker and lights lighter, images seem to pop off the printed product. If an image includes CT data, set the Densimetric Sharpness value. The process examines and improves areas of very subtle contrast, ensuring that CTs are sharpened while ignoring the LW areas. To improve fine details such as text, especially in Kanji or Arabic text, use IntelliEdge. Engraving fine details usually requires finer screens, which means longer engrave time, shallower cells, less ink and less color. With IntelliEdge processing, a coarser screen can be used. IntelliEdge is the Gravure equivalent of anti-aliasing. It uses inteligent algorithms to enhance vertical and horizontal strokes differently. By fattening the verticals and thinning the horizontals, the printed results are improved. IntelliEdge does not affect CT data: Use Densimetric Sharpness for CT.
To create a sharpness curve, use the Sharpness Editor. To apply a sharpness curve, on the Gravure Parameters window, Gamma/Sharpness page, select the curves for each separation. An image is engraved on a cylinder using cells which release ink on a substrate for the final product. The relationship between an image pixel, a cell, and the printed dot is not a direct one: for example, if the image has a 3% pixel, to print a 3% dot on a paper may require a 20% cell. A gamma curve is used to correct or map values from the image (input) to the cell (output). Typically a gamma curve is designed to push highlights darker and lighten the shadows. OHIO provides several basic gamma curves, but you can define custom curves with the Gamma Editor. You can use a different Gamma curve for each separation. 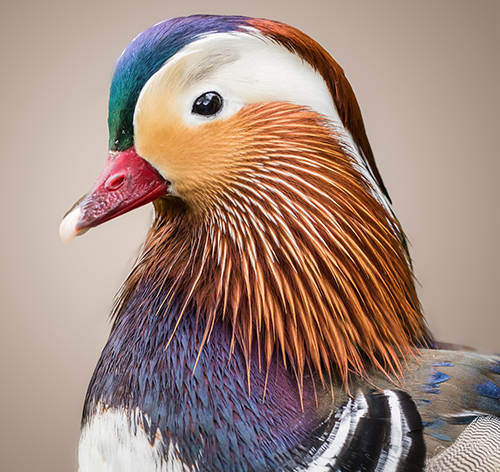 You can use the curve on only selected portions of an image. To apply a gamma curve, on the Gravure Parameters window, Gamma/Sharpness page, select the curves for each separation. If you are outputting to a Hell Engraver, gamma curves are called Gradations. They can be created in the Gamma Editor, and are selected on the Gradation page of the Gravure Parameters window. Each press can be different. Each substrate can be different. Each ink can be different. Use the Fingerprint Table in the Gamma Ediitor to produce Gamma curves for unique situations. See the Collage on-line help for information. Polishing the cylinder before engraving can leave marks behind. Add Densimetric Smoothing to reduce these marks. Densimetric Smoothing is available on the Position Parameters window. Collage includes two ways to check the job before committing to copper: the Soft-Proof display on-screen and the Hard Proof printed to your networked large format printer. You can also use the Collage Job Viewer (optional) to send a digital copy of the job to your customer for their online proofing.